Linked Life Data (LLD) is a data-as-a-service platform that provides access to 25 public biomedical databases through a single access point. The service allows writing of complex data analytical queries, answering complex bioinformatics questions such as 'give me all human genes located in Y-chromosome with the known molecular interactions'; simply navigate through the information, or export subsets like 'all approved drugs and their brand names'. LLD Public - completely free anonymous access for developing proof-of-concept applications with no hosting and data setup costs. LLD Enterprise - premium service access for matured applications, which guarantees extra features. We provide enterprise support of the linked data cloud. To contact us, please send an email to life-sciences@ontotext.com. Provide adequate support for all public W3C standards such as RDF and SPARQL. GraphDB allows the loading of all 10 billion RDF statements in a single machine, and guarantees very fast query response time. The database also supports federated queries and links to URIs hosted by external systems. 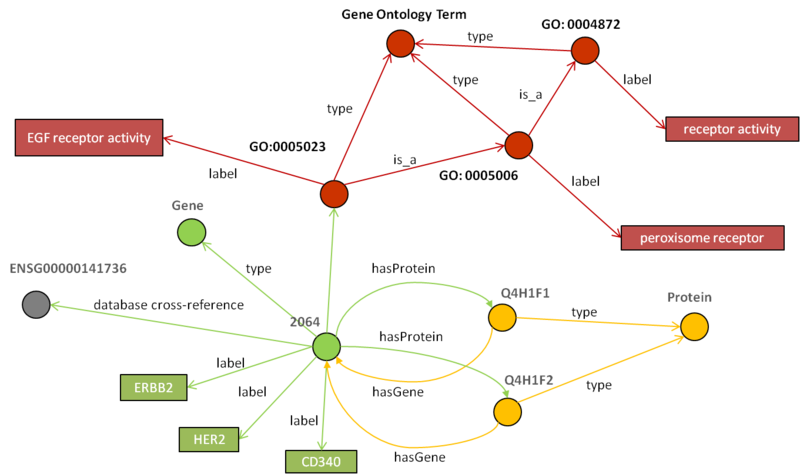 After all data is represented into RDF data format, many additional connections between the resources must be made, before it becomes truly “linked” data. The blue lines and the blue text of the captions (used either as part of the URI, or as literals) mark the criteria for linking the information. The specified mapping rules are applied only to the specified subsets of information. 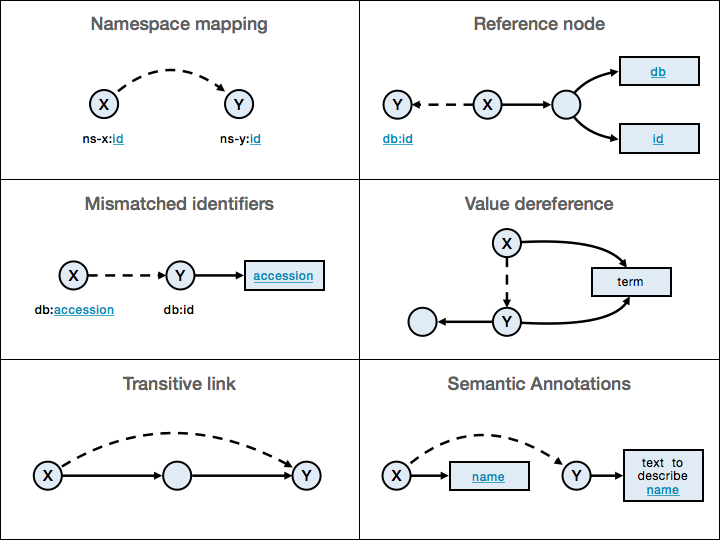 Another form of connection is Semantic Annotation, which uses NLP analysis to generate links between entities and unstructured textual fragments. The service covers the full path of data - gene, protein, molecular interaction, pathway, target, drug, disease and clinical trial related information. These are the primary entities of a knowledge base composed by structured databases (NCBI Gene, Uniprot, DrugBank, BioPAX and many more), terminologies (UMLS, OBO), and semi-structured documents (Pubmed, ClinicalTrials.gov). The public service integrates only free databases. While others, used in the Enterprice edition have further license restrictions. To check the complete list, visit the current list of processed databases.